When you travel around as much as we do in Renfrewshire, you get to see some of the best places in the area, as well as a great deal of practical knowledge on local roads and motorways. In our experience, towns such as Paisley are a great place to begin your driving tuition, as they contain a little bit of everything – busy streets, junctions and dual carriageways as well as plenty of quiet spots to practice manoeuvring and other exercises. As one of the largest towns in Scotland, we often conduct driving lessons in Paisley and surrounding areas as many of our students hail from these parts of Renfrewshire. With door to door driving lessons in Paisley as standard, this means that we often structure our lessons around some of the town’s better known features, and we see a great deal of St Mirins Cathedral, Paisley Central Abbey and more as a result. With many years experience working with students of all walks of life to help them gain their licence, our instructors are able to adapt their training methods to suit the learning curve of each individual student we meet. No matter whether it’s the theory test or the practical test that is holding you back, Freedom Driving Centre can give you all the confidence and motivation you may require, as well as passing on vital skills and knowledge to help you pass the test and drive safely on UK roads. 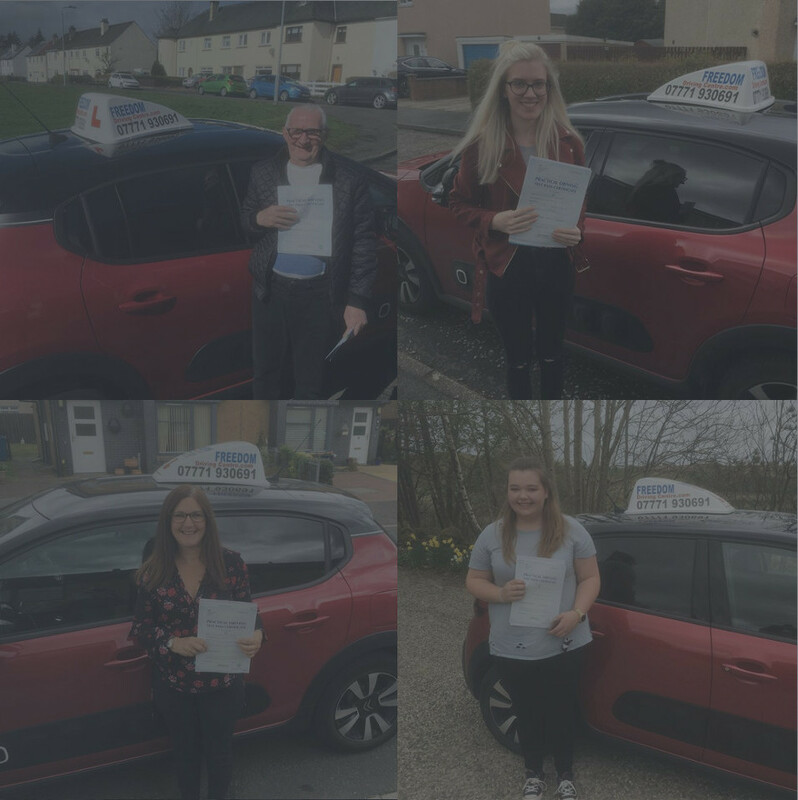 Freedom Driving Centre also has extensive knowledge of the test centre routes in the Paisley area, and can conduct our driving lessons in Paisley to give our students real experience of the roads and traffic conditions that they will face during their test. In addition, we can carry out mock driving tests to simulate the standards expected by invigilators on the day, and make sure you are comfortable with the process. Our friendly, enthusiastic driving lessons in Paisley are available at some of the most competitive rates to be found anywhere in Renfrewshire, and our services include intensive driving lessons and refresher courses on roads that you are familiar with and feel confident driving on. Paisley is also directly connected to the M8 and the M74 motorways, which is ideal for drivers seeking PassPlus tuition or motorway driving lessons.